The winners of the NatWest Encouraging Women into Franchising (EWIF) Awards 2017 have been chosen and the Overall Woman in Franchising title has gone to Claire Slorach of Toni & Guy. She was chosen from the winners of the eight award categories, having won Woman Franchisee. 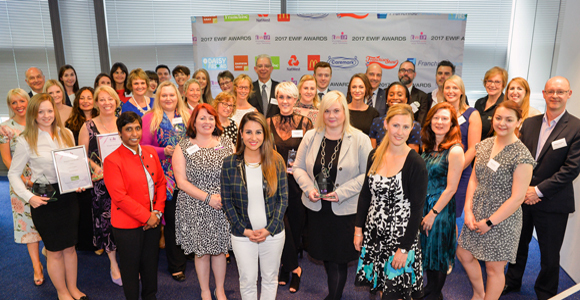 Clive Sawyer, chief executive of EWIF and managing director of Business Options, commented: “Every year the NatWest EWIF awards get bigger and bigger and I can’t believe we’ve just finished our seventh awards. EWIF membership is growing year-on-year, and each year sees record numbers of entries. EWIF is a not-for-profit organisation that provides advice and guidance to those interested in the sector. EWIF says its remit is threefold; to encourage women to consider buying a franchise, to encourage business women to franchise their existing operations, and to help franchisors attract more women to their networks. EWIF is to hold its National Conference on 21st September 2017, at the Staverton Park Hotel, Northampton, where attendees can learn more about EWIF and hear from guest speakers. To find out more visit www.ewif.org.